On the face of things, Irishwomen Honora Cleary, Eleanor Hogg and Maria Sheppel had little in common. For a start, they were from different parts of Ireland; Honora hailed from Cappoquin, Co. Waterford, Eleanor lived in Boyle, Co. Roscommon and Maria had grown up in Ballinasloe, Co. Galway. Neither did the women share the same religion; Honora and Eleanor were Roman Catholic, while Maria was Church of Ireland. What they did share was that all were married with children, all were illiterate, and all were extremely poor. All three were also specifically referred to in correspondence that U.S. Consul William West sent to America in July 1865. The reason for this was that they had all had suffered the same experience; each of their husband’s had died while in Union service on the other side of the Atlantic. There is no reason to believe that any of these women ever set foot in the United States. Indeed these Civil War widows were still making their homes in the same localities where they had led most of their lives. 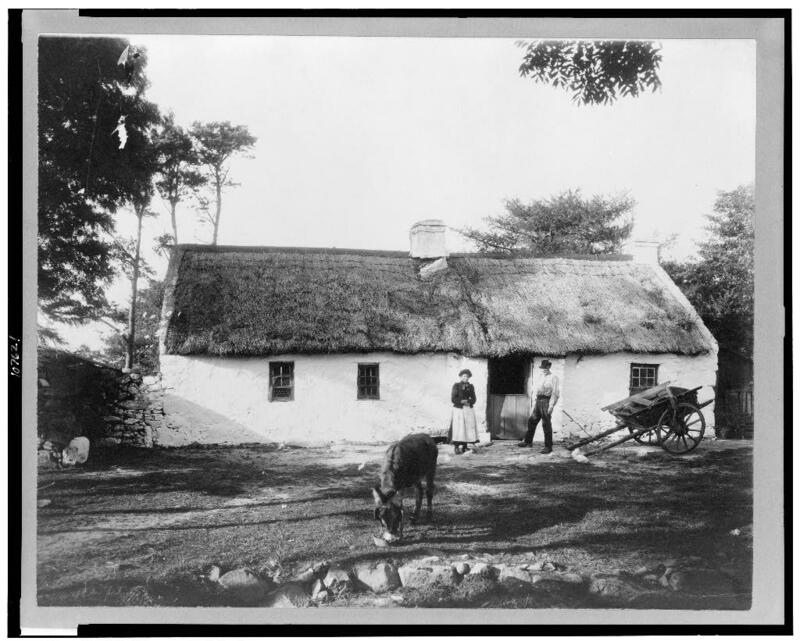 Eleanor (née McDonagh) had been the first of the women to marry, when she wed farmer Farrell Hogg of Corskeagh, Co. Sligo at Riverstown Catholic Church on 21st September 1835. Next had been Honora (née Browne) and Francis Michael Cleary, who tied the knot at Cappoquin Catholic Church in Co. Waterford on 21st August 1843. Maria Galvin began her life with whip maker Nicholas Sheppel in the Church of Ireland Church of Ballinasloe, Co. Galway on 5th October 1846. Not long after their marriages each of the three women had started families. Nicholas and Maria Sheppel had at least six children: Bedelia (1848), Henry (1851), Esther (1854), Catherine (1856), Peter (1858) and Elizabeth (1863). Francis Michael and Honora Cleary had three children who survived infancy: Francis (1844), John (1847) and Thomas (1848). Like the Sheppels, the Hoggs also had six children, although we only have the names of four: Patrick (18?? ), Catherine (1839), John (1842) and Farrell Jr. (1851). Why did their husband’s leave for America? None of the women claimed that they had been deserted; Eleanor Hogg remarked that she got regular correspondence from her husband, who had journeyed to the United States ‘several years’ before 1862. 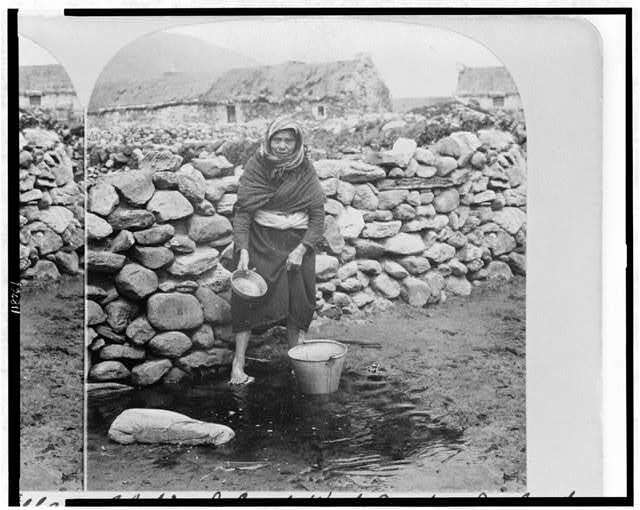 Although Honora Cleary does not specify the reason behind her husband’s departure, he had emigrated by 1858. The only woman whose husband actually traveled to America during the war was Maria Sheppel; the couple’s last child was born in Galway in 1863. Perhaps her husband Nicholas was seeking to take advantage of the late war enlistment bounties, but it seems likely that all three of the men made their choices for economic reasons, and perhaps were hopeful of sending for their wives later on. 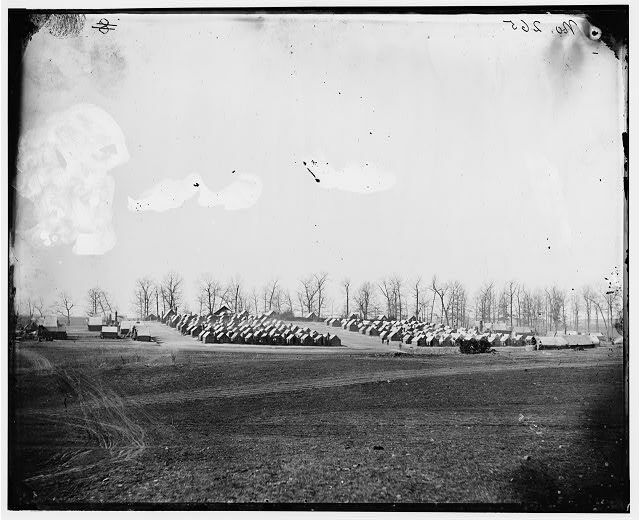 Whatever their initial motivations for emigration, each of the women’s husbands ended up in the Union army. Francis Michael Cleary from Cappoquin had chosen the life of a professional U.S. soldier in 1858- he lost his life on 27th June 1862 while serving in Company G of the 10th United States Infantry at the Battle of Gaines’ Mill. He was 44-years-old. Only two days later, on 29th June 1862, Sligo farmer Farrell Hogg fell wounded at the Battle of Savage Station. In October 1861 the 40-year-old had enlisted in what became Company D of the 88th New York Infantry, part of the Irish Brigade. Farrell was taken prisoner, but died on 5th August while on his way from Richmond to Washington D.C. having been exchanged. Nicholas Sheppel was the youngest of the men when the Galway whip maker enlisted in Company F of the 6th New York Heavy Artillery, at the age of 35, on 4th February 1864. He had likely only been in the United States a matter of weeks. His military career lasted barely four months- by the 16th June he was dead, succumbing to chronic dysentry at Stanton General Hospital in Washington D.C.
Honora Cleary, Eleanor Hogg and Maria Sheppel all ultimately received a Widow’s Pension from the United States government. 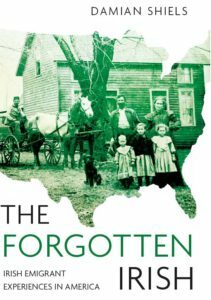 Their story is another example of the impact this seemingly far away conflict had on people in Ireland, highlighting the fact that the repercussions of the struggle between North and South were not only felt by those Irish who made their homes in America. Unfortunately the heartbreaking experiences of Irishwomen like Honora, Eleanor and Maria- and thousands like them on both sides of the Atlantic- remain all but forgotten in Ireland today. Gaines’ Mill is just a few miles from where I currently reside. 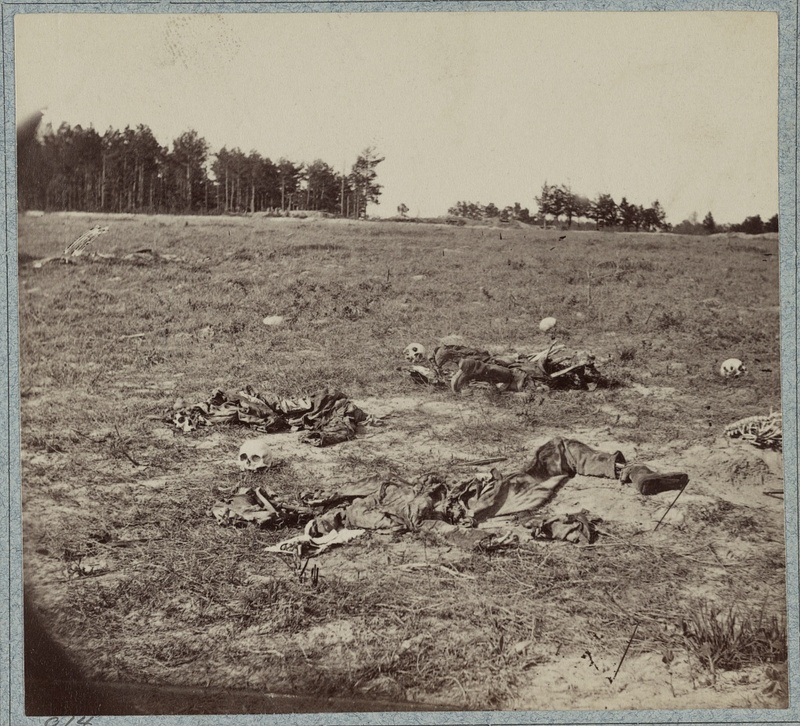 I was just at the adjacent Cold Harbor battleground last week. Stories like this help us appreciate the sacrifice that occurred on these hallowed grounds. I visited the area in June (encountering a few ticks at the Gaines’ Mill battlefield!). It is a region I hope to visit many times again in the very near future. It is hard to believe what is such a beautiful part of the world bore witness to so much death. Damian. Looking forward to your next book. It is fascinating to see the original letters and how the spelling and punctuation is presented so I hope you will insert a number of these in your book because it captures some sense of the culture at the time. Thanks John! There will be a number in there alright, quite a few not seen before!